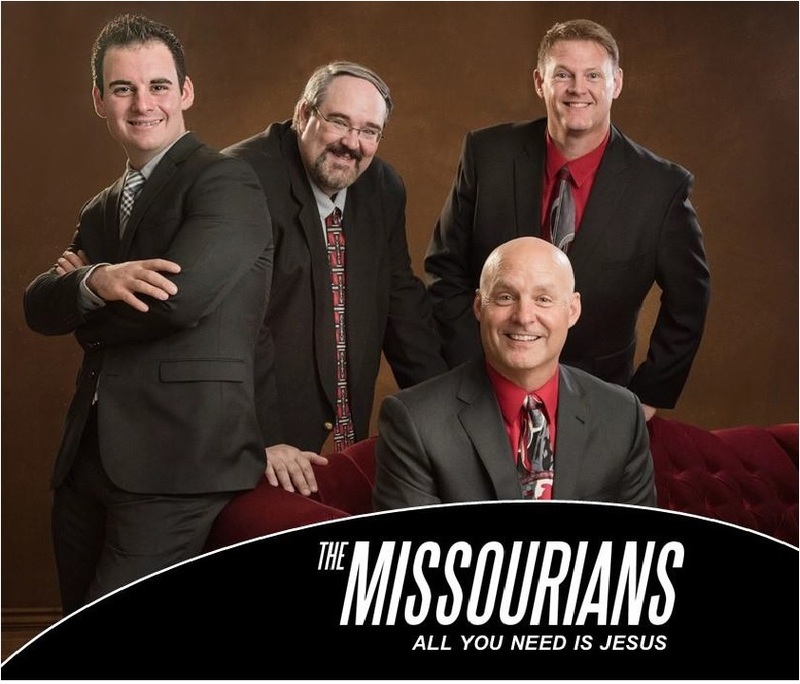 The Missourians top priority in concert is to lift up Christ in their music while presenting the gospel to the listener through song and testimony. Their professionalism and pursuit of excellence is only superseded by their ability to connect with an audience through the message of love, grace and forgiveness. What started as a male trio in the 1980’s took on that traditional four part harmony sound several years later and the group hasn’t looked back. This exciting vocal group is comfortable performing on concert stages before thousands, as well as in rural churches. The group’s versatility makes them a favorite among young audiences and older music lovers alike. Their ability to adapt to any setting, without compromising the message they present, makes them a favorite wherever their music is shared. Over the past 25+ years the group has recorded a total of 16 albums and 2 videos with their latest project “Hymns & Classics”. The recording, like each performance, is a testament to the versatility of this talented quartet, as it encompasses a mix of both traditional hymns and Southern Gospel classics, without distracting from the Gospel message. The Missourians have shared the stage with such greats as Gold City, Brian Free & Assurance, Ivan Parker, Larry Gatlin and the Gatlin Brothers and many others.